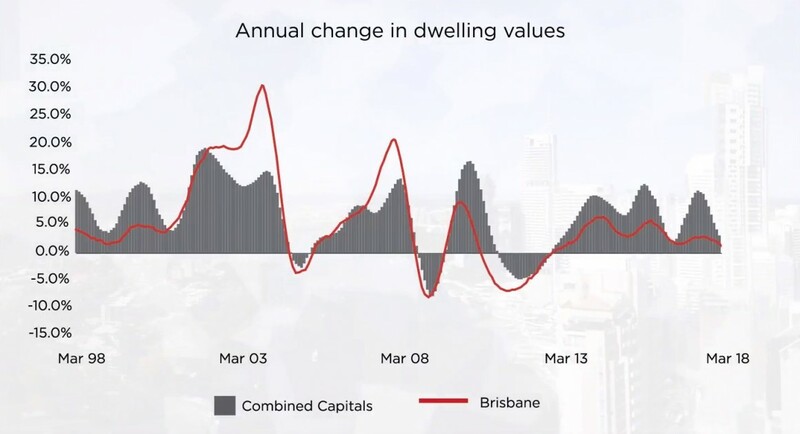 The Brisbane Housing market has been trading water over first three months of the year, with dwelling values absolutely flat over the March quarter. The sedate conditions have been evident for the better part of ten years, with dwelling values rising at the average annual rate of just 0.9% over the past decade. Houses are showing a slightly better performance, with values up 1.8% over the past twelve monts, while unit values have drifted 1.4% lower over the past twelve moths. The softer unit market is attributable to concerns around high supply in key inner city markets, however the construction cycle peaked back in 2016 and population growth is ramping up whicj\h will help to support an improvement in the unit markets performance.